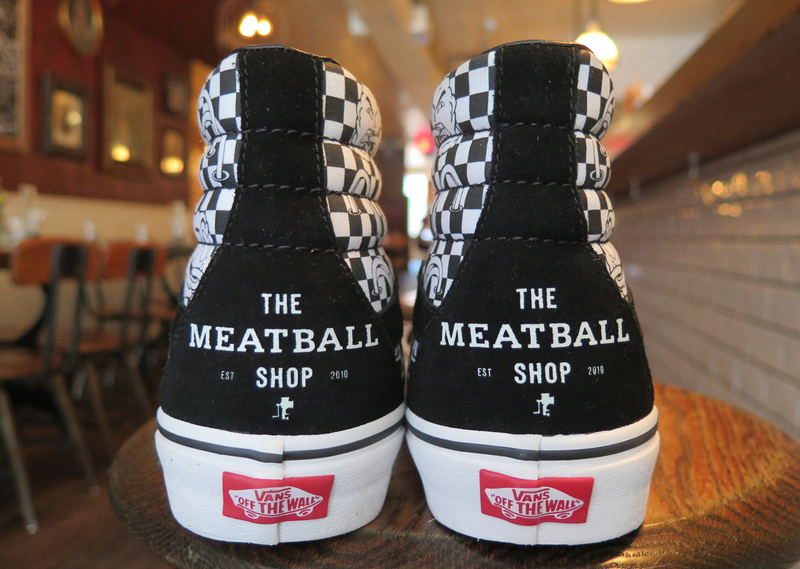 Vans and The Meatball Shop collaborating again. Vans seems to be a more restaurant-inclined footwear brand than most. Not only has the purveyor of skate shoes released sneakers specifically made for kitchen workers, it's also got a number of restaurant collabs, the most frequent being its with The Meatball Shop. The two are teaming up again, this time releasing a Vans Sk8-Hi featuring the original checkerboard pattern with meatball drawings on top. What's more, Vans has christened today "Love Vans Day" at Meatball Shop locations, which are giving away free meatballs to diners who come in today wearing Vans. The latest from The Meatball Shop and Vans releases online via The Meatball Shop and Vans today.